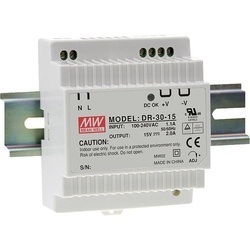 Mean well importer, exporter, dealers,distributor in India.Mean well Led driver India,Mean well Smps, Mean wellRainproof Power Supply ,Mean well dc-dc Convertor, Mean well Ac-dc Convertor, Mean well Led smps, Mean well Invertor in India products. We are importing from mean well in india. Mean well India,We deals with hot products like mean well smps and led driver series in india,like Mean well CLG series, Mean well lpv series, Mean well APV series, Mean well HLG seies, Mean well HBG series, Mean well lpp series etc. SMPS series like Mean well NES, RS, SE, SP, SCN, RSP, DR, MDR, DRP, WDR, SDR and also Mean well dc dc convertorsin India. Mean well distributor,dealer, Sree dhanam automation pvt ltd is have enough stock of this above Mean well models in India with best prices your inquiries are always welcome. any clarifications in mean well products please revert to us. 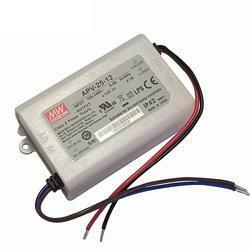 Mean well India we deals with products like SMPS, LED Drivers, DC-DC Convertors, power supply,switch mode power supply,all over India.Mean well India, Our major customers are presented in North India& South India. We are covering the following cities like Meanwell Smps Chennai, Madurai, Mean well Coimbatore, Pondicherry, mean well Bangalore, Hubli, Hyderabad, Vizag, LED smps Tamilnadu, Meanwell SMPS Mumbai, Biwadi, Mean well led driver Delhi, meanwell Pune, SMPS India,MeanwellLED Driver Noida, Haryana, Faridabad, New Delhi,MeanwellGhaziabad, SMPS Gujarat, Baddi, Indore, Surat, Meanwell smps delhi,Mean well smpsAhmedabad, Led DriverVadodara, SMPS Vapi, Meanwell Maharashtra, Kolkata, West bengal, Udaipur, Madhyapradesh,Mean well Rainproof Power SupplyUttarpradesh, Mysore, Jaipur, Punjab, Silvassa, Ludhiana, Kashmir, SMPS Goa, Jharkhand, Odisha, Orissa in India etc. By utilizing our years of experience, we bring forth a qualitative array of Meanwell SMPS that is used for computer power supply, video game power supply, medical smps, etc. The offered SMPSis manufactured utilizing superior quality raw material and latest technology. Moreover, a team of our quality controllers conducts a series of quality tests on the entire range to seek out any possible defect. In tune with industry standard, we provide the entire range in various customized options and industry leading prices. 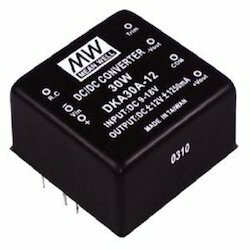 Meanwell DC-DC CONVERTER supplier, dealer, distributor, importer, supplier in india. We are dealing wide range of MEANWELL dc-dc convertor. meanwell dc to dc convertor we have diffrent types of series like SCW, DCW, SLW, DLW, DKE, SKE, SKM, SKA, DKA, SDM, SKM, MHB, SPR, SMU, SMA, DET ,SFT, SBT, SRS ETC. 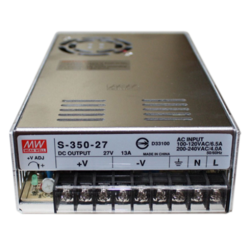 Meanwell other products than dc dc convertor is like MEANWELL SMPS, DC power supply, dc-dc LED Driver, DC DC Convertors, LED SMPS, LED power supply, AC-DC convertors, power supply, switch mode power supply from all over India. Our major customers for dc-dc converter are presented in all over India. We are covering the following cities like meanwell DC-DC convertor Chennai, Madurai, Meanwell dc dc convertor, tamilnadu, maharashtra, uttarpradesh, Meanwell dc-dc Coimbatore, Pondicherry, Meanwell Bangalore, Hubli, Hyderabad, Vizag, meanwell Mumbai, Biwadi, Meanwell dc-dc smps Delhi, meanwell Pune, meanwell Noida, Haryana, Faridabad, meanwell Ghaziabad, Gujarat, Baddi, meanwell Indore, Surat, MEANWELL DC-DC Ahmedabad, Vadodara, Vapi, meanwell india, Maharashtra, Kolkata, Westbengal, Udaipur, Jaipur,meanwell Punjab, Silvassa, Ludhiana, Kashmir, Goa, Jharkhand, Odisha, etc. In line with clients' variegated requirements, we bring forth a distinguished collection of Meanwell LED Driver. This driver is designed at our vendor’s ultra-modern manufacturing unit using the superb quality raw-material and progressive technology in conformance with defined quality standards. Being a quality-oriented organization, we assure our clients that this driver is excellent on counts of durability and quality. We offer this driver at most affordable rate. we are dealers, distributors, suppliers, importers of DINRAIL mount smps, meanwell in india. dinrail mount smps have different series starts from DR, DRP, DRT, DRH, RDN, MDR, NDR, EDR, SDR, WDR, TDR, DR-RDN20, DR-UPS40. we have all these above products in stock, these are mainly used in control panels for easy installing and low maintenance we are giving 1year warranty for all meanwell products which we supply in india. Being a customer oriented firm, we are engaged in offering a wide range of Meanwell Power Supply. This power supply is manufactured using optimum grade raw-material and sophisticated technology in synchronization with industry standards. In order to ensure quality, the entire range is rigorously tested on various parameters by quality controllers. Keeping in mind the diverse requirements of our clients, we provide this power supply in various sizes and specifications and at affordable price.